As a former DOT Auditor, I can attest to the fact that being selected for a Compliance Review (C.R.) is not always the most pleasant of experiences for a motor carrier. That being said a C.R. of a motor carrier’s safety program records could be relatively issue free if the motor carrier’s management team and staff understand the regulations that they are subject to, and what records an Auditor will expects to review during the C.R. Regardless of the industry, any employer, employee, or vehicle involved in the transportation of property or passengers in interstate commerce in the U.S., with a vehicle of gross vehicle weight rating (GVWR) or combination weight rating (GCWR) of more than 10,000 lbs., is subject to Federal Motor Carrier Safety Regulations (FMCSR). This includes being subject to a C.R. by a DOT Auditor. Each factor is subsequently reviewed and a given a public rating either Satisfactory, Conditional, or Unsatisfactory. A ‘Satisfactory’ rating is defined as a motor carrier having in place a functioning adequate safety management controls to meet the safety fitness standard prescribed in the FMCSRs, Section 385.5. Safety management controls are adequate if they are appropriate for the size and type of operation of the particular motor carrier. Having a ‘Satisfactory’ label does not mean that a motor carrier can relax its compliance efforts. Satisfactory simply means a motor carrier is doing the minimum an Auditor expects of a carrier's safety program in a specific factor. A ‘Conditional’ rating is defined a motor carrier not having adequate safety management controls in place to ensure compliance with the safety fitness standard that could result in occurrences listed in Federal Motor Carrier Safety Regulations. 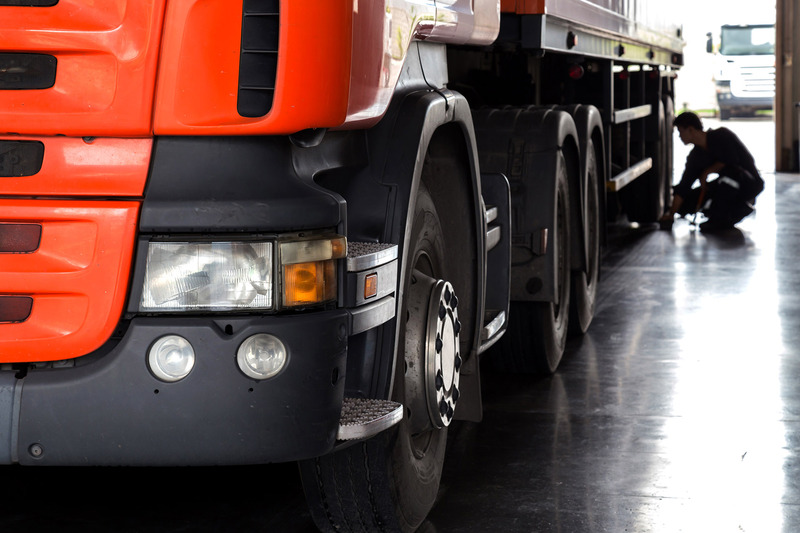 An ‘Unsatisfactory’ rating is defined as a motor carrier not having adequate safety management controls in place to ensure compliance with the safety fitness standard. Motor carriers receiving an ‘Unsatisfactory’ safety rating may be subject to remedial enforcement measures by FMCSA. A carrier should be prepared to show documentation to an Auditor that demonstrates that it has proper liability coverage in place for the type of carrier and cargo. Section 387.9 of the FMCSR contains a schedule of limits. Motor carriers should be able to surrender upon request of an Auditor, the CS-90 or MCS-82 form (382.15). An insurance provider representative must also sign this form. Vehicle markings may also be checked during a C.R. A CMV must be marked on two sides with the motor carrier's legal or single-trade name (whichever appears on the MCS-150 form) and the DOT-assigned number proceeded by the letters "USDOT" (390.21). Another key part of general requirements review are training records. The Auditor will confirm that the motor carrier trains not only drivers, but also any employee who may be involved in regulatory compliance, on the applicable regulations. To demonstrate an adequate level of management control, it is recommended that a motor carrier keep detailed records of any transportation safety-related training provided to their employees. A driver qualifications review covers commercial driver's licenses (CDL), driver qualification, and drug and alcohol testing. The Auditor will confirm that the motor carriers operating CDL-required CMV demonstrates that all their drivers have valid licenses equivalent to the vehicle class and with the appropriate endorsements required. A motor carrier should have in place a means for tracking license expiration dates. A motor carrier operating CDL-required equipment also must have implemented a drug and alcohol-testing program as described in Parts 40 & 382 of the regulations. Driver application with all required information listed in Section 391.21. Previous three years of employment verification and, if applicable, a safety performance history, and drug/alcohol test results (391.23). Entry-level driver training, if required (380.503). Annual written driver statement of violations, which the driver is licensed (391.25). Driver files should be complete, current, and correct and contain the same information in the same order. Further, although placing the actual driver DOT physical examination form in the driver file is not required, it must be readily available upon request during a C.R. Only those items listed previously are required in the file. Other records or documents the motor carrier may feel are necessary for managing the fleet may be placed elsewhere at the motor carrier’s principal place of business. Stay within 100 air miles of his/her normal work reporting location. Return to the work reporting location and be relieved of duty within 12 consecutive hours. Refrain from driving a CMV for more than 11 hours in that 12-hour period. Take 10 consecutive hours off duty between shifts. If these requirements are fulfilled, the motor carrier must keep clear and accurate hours of service records (including supporting documents) for six months of the driver's daily start and stop times, total on-duty hours, and the 60- or 70-hour rule tracking. Except for annual inspections, maintenance records are required to be kept in the file for 12 months before the information can be purged. Proof of periodic inspection must also be stored in the vehicle in the form of a copy of current inspections or, in some states, an approved sticker with inspection information clearly legible. The Auditor will verify that certified inspectors are performing the annual, periodic inspections. Certification is also required for anyone performing CMV brake system work, and may be requested during the C.R. The motor carrier should maintain records of roadside inspections for at least one year. The Auditor will examine inspection forms to determine if the motor carrier has performed required repairs discovered on a vehicle during a roadside inspection and that a signed inspection form was returned to the issuing agency within 15 days of the repair completion. 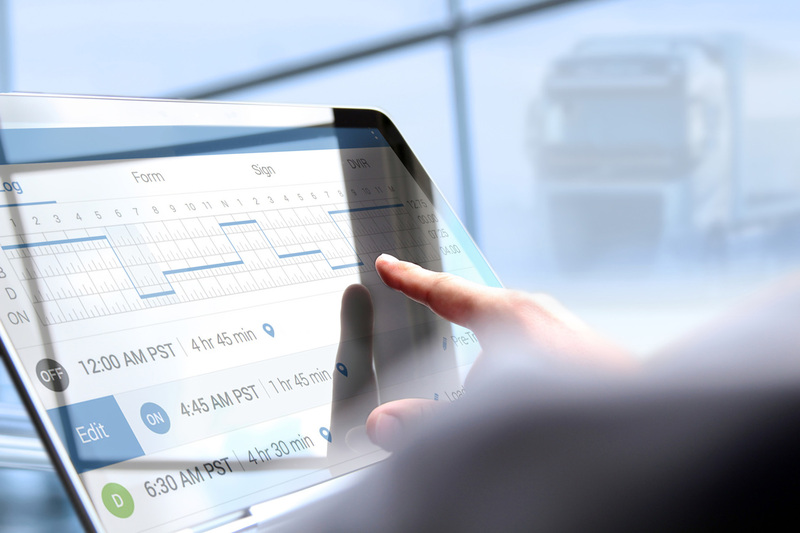 An issue of note is the requirement a motor carrier maintain for 90 days the post-trip inspection reports completed by drivers at the end of each workday. This report must be in writing and completed by the driver. That vehicle was in fact inspected. Confirm what components were inspected. Any deficiencies present on the vehicle. For inspections during which a defect is noted, the signature of the mechanic who corrected the defect, the signature of the next driver to conduct a pre-trip inspection, and the individual who accepted the vehicle back into service must also be detailed in the report. Any additional description requirements per 49 CFR Section 172.203. The presence of hazardous materials, other than fuel spilled by any vehicle. Even if a motor carrier has had no DOT recordable accidents, they are required to have the accident register in place for review. If an accident entry appears on the register, it must remain for three years from the date of the accident. Once the C.R. is completed, the Auditor will complete his/her report, the findings will be shared with the motor carrier including any enforcement action that may be initiated against the motor carrier. Interstate motor carriers and HM intrastate motor carriers with an active U.S. DOT number. On-site examinations of motor carrier operations, such as drivers' hours of service, maintenance and inspection, driver qualification, commercial driver’s license requirements, financial responsibility, crashes, hazardous materials, and other safety and transportation records to determine whether a motor carrier meets the safety fitness standard. A compliance review may be conducted in response to a request to change a safety rating, to investigate potential violations of safety regulations by motor carriers, or to investigate complaints or other evidence of safety violations. The compliance review may result in the initiation of an enforcement action. A safety rating received because of a Compliance Review. A Conditional rating is defined as: a motor carrier does not have adequate safety management controls in place to ensure compliance with the safety fitness standard that could result in occurrences listed in Federal Motor Carrier Safety Regulations, Rules and Notices (FMCSRs) Section 385.5 (a) through (k). This measure determines a rating based on the percentage of crash records reported by the State over a 12-month period that were matched to a company registered in MCMIS. This "red flag" indicates States that have reported less than 50% of non-fatal crash records for the current 12-month period compared to the yearly average, based on the previous 36-months. This rating considers the five SSDQ crash measures and the Overriding Indicator, except measures with a rating of "Insufficient Data." States receive an overall score based on ratings in each of the crash measures and the Overriding Indicator. A State that has received a "red flag" will be automatically rated "Poor." A State with at least one "Good" measure and no measures considered "Poor" will receive a "Good" grade. A State with one measure considered "Poor" will receive a "Fair" grade; and any State with two or more "Poor" measures will receive a "Poor" grade. This measure determines a rating based on the completeness of driver and vehicle crash data reported to FMCSA. This measure determines a rating based on the percentage of crash records reported to FMCSA within 90 days over a 12-month period. The percentage of roadside inspections (Levels I, II, and III) that resulted in OOS orders. This measure determines a rating based on a comparison of the number of State-reported fatal crash records in MCMIS to the number of fatal crash records reported in FARS. A crash where one or more persons dies within 30 days of the crash. The fatality does not have to occur at the scene of the crash. It includes any person involved in the crash, including pedestrians and bicyclists, as well as occupants of the passenger cars and trucks. One or more persons dies due to injuries resulting from a crash involving a large truck or bus within 30 days of the crash. It includes any person involved in the crash, including pedestrians and bicyclists, as well as occupants of passenger cars, trucks, and buses. The fatality rate is equal to the "Number of fatalities involved in CMV fatal crashes" divided by the "Adjusted VMT for CMVs" multiplied by 100. Fatality rate figures represent CMV fatalities per 100 million vehicle-miles traveled. HM is any substance or material which has been determined by the U.S. Secretary of Transportation to be capable of posing an unreasonable risk to health, safety, and property when transported in commerce and which has been so designated under regulations of the U.S. Department of Transportation. Most vehicles carrying HM are required by law to conspicuously display a placard indicating the class, type, or the specific name of the HM cargo. In addition, vehicles transporting HM in tank cars, cargo tanks, or portable tanks are required to display the four-digit hazardous materials number assigned to the specific material on placards or orange panels. The percentage of roadside inspections (Levels I, II, and III when HM is present) that resulted in OOS orders. One or more persons has non-fatal injuries requiring transportation by a vehicle for the purpose of obtaining immediate medical attention as the result of a crash that involved a large truck or bus. A crash where one or more persons has non-fatal injuries requiring transportation by a vehicle for the purpose of obtaining immediate medical attention. This measure determines a rating based on the percentage of inspection records reported by the States over a 12-month period that were matched to a company registered in MCMIS. This measure determines a rating based on the percentage of inspection records reported to FMCSA within 21 days over a 12-month period. An inspection occurs when a Motor Carrier Safety Assistance Program (MCSAP) inspector conducts an examination on individual CMV’s and drivers to determine if they are safe to operate by determining if they are in violation of the Federal Motor Carrier Safety Regulations (FMCSR) and Hazardous Materials Regulations (HMR). Serious violations result in driver or vehicle OOS orders, which must be corrected before the affected driver or vehicle can return to service. Drivers that ignore existing OOS orders (returning to service without taking the proper corrective action) are cited for violating an OOS order. Traffic enforcement violations also may be recorded in conjunction with an inspection. An inspection that includes examination of driver's license, medical examiner's certificate and waiver, if applicable, alcohol and drugs, driver's record of duty status as required, hours of service, seat belt, vehicle inspection report, brake system, coupling devices, exhaust system, frame, fuel system, turn signals, brake lamps, tail lamps, head lamps, lamps on projecting loads, safe loading, steering mechanism, suspension, tires, van and open-top trailer bodies, wheels and rims, windshield wipers, emergency exits on buses, and hazardous materials (HM) requirements, as applicable. An examination that includes each of the items specified under the North American Standard Inspection. As a minimum, Level II inspections must include examination of: driver's license, medical examinees certificate and waiver, if applicable, alcohol and drugs, driver's record of duty status as required, hours of service, seat belt, vehicle inspection report, brake system, coupling devices, exhaust system, frame, fuel system, turn signals, brake lamps, tail lamps, head lamps, lamps on projecting loads, safe loading, steering mechanism, suspension, tires, van and open-top trailer bodies, wheels and rims, windshield wipers, emergency exits on buses, and HM requirements, as applicable. The walk-around driver/vehicle inspection generally includes only those items that can be inspected without physically getting under the vehicle. A roadside examination of the driver's license, medical certification and waiver, if applicable, driver's record of duty status as required, hours of service, seat belt, vehicle inspection report, and HM requirements, as applicable. Inspections under this heading typically include a one-time examination of a particular item. These examinations are normally made in support of a study or to verify or refute a suspected trend. An inspection that includes each of the vehicle inspection items specified under the North American Standard Inspection (Level I), without a driver present, conducted at any location. A crash where one or more persons has non-fatal injuries requiring transportation by a vehicle for the purpose of obtaining immediate medical attention; or one or more of the vehicles were towed away from the scene due to "disabling damage". The towed vehicle need not be the truck or bus involved in the crash. The sum of the number of vehicles involved in towaway and injury crashes equals the total number of vehicles involved in non-fatal crashes. This measure determines a rating based on the percentage of non-fatal crash records reported to MCMIS by the States over a 12-month time period. A ratio of predicted non-fatals to reported non-fatals is used to determine the State’s non-fatal crash completeness. An unrated carrier means that a safety rating, as a result of a Compliance Review, has not been assigned to the motor carrier by the FMCSA. The Out of Service (OOS) rate represents the percentage of all inspections that resulted in OOS orders. A single inspection can result in an OOS order for either the driver or the vehicle, or potentially both; therefore data are presented in subcategories for driver and vehicle. Other Specified Violations include: 392.20 - Failing to properly secure parked vehicle 392.21 - Stopped vehicle interfering with traffic 392.22A - Failing to use hazard warning flashers 392.22B - Failing/Improper placement of warning devices 392.2W - Size and weight For a detailed description of the specific violations listed for each category refer to: http://www.fmcsa.dot.gov/rulesregs/fmcsrhome.htm or the Federal Motor Carrier Safety Regulations handbook. This rating considers all seven SSDQ measures and the Overriding Indicator, except measures with a rating of "Insufficient Data." States receive an overall score based on ratings in each of the measures and the Overriding Indicator. A State that has received a "red flag" will be automatically rated "Poor." A State with at least one "Good" measure and no measures considered "Poor" will receive a "Good" grade. A State with one measure considered "Poor" will receive a "Fair" grade; and any State with two or more "Poor" measures will receive a "Poor" grade. Identifies the number of trucks, tractors, hazardous material tank trucks, motor coaches, and school buses owned, term leased or trip leased by the motor carrier. Carriers receive a SafeStat score if the carrier is deficient in at least two (of four) Safety Evaluation Areas (SEAs). A SEA with a value from 75 to 100 is defined as deficient. This range approximates the worst 25% of the carriers assessed within a particular SEA. Therefore, SafeStat requires a “critical mass” of poor performance data before a carrier is scored and assigned to a Category of A, B, or C.
A safety rating received as a result of a compliance review. A Satisfactory rating is defined as: a motor carrier has in place and functioning adequate safety management controls to meet the safety fitness standard prescribed in the FMCSRs, Section 385.5. Safety management controls are adequate if they are appropriate for the size and type of operation of the particular motor carrier. Includes moving violations of a serious nature along with drug and alcohol violations. For a detailed description of the specific violations listed for each category refer to: http://www.fmcsa.dot.gov/rulesregs/fmcsrhome.htm or the Federal Motor Carrier Safety Regulations handbook. Includes violations that are a result of serious traffic violations (moving and drug/alcohol violations) and other traffic violations. For a detailed description of the specific violations listed for each category refer to: http://www.fmcsa.dot.gov/rulesregs/fmcsrhome.htm or the Federal Motor Carrier Safety Regulations handbook. A crash where one or more of the vehicles were towed away from the scene due to "disabling damage." The towed vehicle need not be the truck or bus involved in the crash. The Traffic Enforcement program involves the enforcement of twenty-one moving and non-moving driver violations, which are included in the driver violation portion of the roadside inspection procedures. Only those traffic enforcements that result in the performance of a subsequent roadside inspection are included in the MCSAP program. If a roadside inspection results in only a Drug or Alcohol-Related violation then it is excluded as a Traffic Enforcement Type Inspection. A safety rating received as a result of a compliance review. An Unsatisfactory rating is defined as: a motor carrier does not have adequate safety management controls in place to ensure compliance with the safety fitness standard which has resulted in occurrences listed in Section 385.5 (a) through (k). Motor carriers receiving an "unsatisfactory safety rating" may be subject to the provisions of Section 385.13. Includes: 392.2 - Local laws (general) 392.2D - Other driver violations 392.2OT - Other moving violations 392.2V - Other vehicle defects For a detailed description of the specific violations listed for each category refer to: http://www.fmcsa.dot.gov/rulesregs/fmcsrhome.htm or the Federal Motor Carrier Safety Regulations handbook. Roadside inspections (Levels I, II, and V) conducted on vehicles operated. The percentage of vehicle inspections (Levels I, II, and V) that resulted in OOS orders. Marc is the Head of Safety, Compliance & Regulatory Affairs for Fleet Complete. 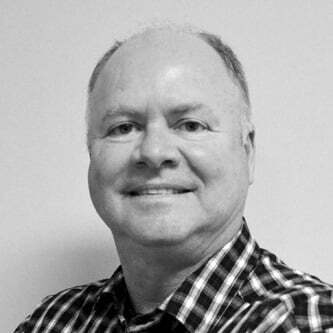 Marc is an author and industry subject matter expert that has worked in numerous senior transportation management roles for over 25 years, including an Inspector for the MTO. Marc sits on several Federal/State/Provincial regulatory bodies, and frequently provides commentary on emerging technology, best practices and regulatory affairs. In addition, Marc is a commercial driver’s licence (CLD) holder, and can drive all types of commercial vehicles in North America. Given a warning: not having my trailer plate number on top of the daily log and the inspection portion. Am i required to do that? Are drivers required to log fuel stops on their BigRoad driver logs?